My শীর্ষ 5 B1A4 songs; which is yours? Who is আপনি favourite and hottest member?? Who is the cutest member in B1A4? What are your শীর্ষ 5 favourite B1A4 songs? The সঙ্গীত video teaser for their শিরোনাম track "Lonely" was already released in anticipation for when 'Who Am I' hits stores on January 13. As seen in the track তালিকা below, Jinyoung composed 6 songs, including the শিরোনাম track, while CNU composed 2. Take a look at the full details below! sandeul and i celebrate our birthday in the same day! 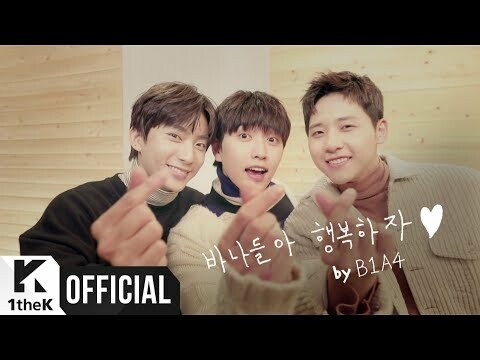 a poll যুক্ত হয়ে ছিল: My শীর্ষ 5 B1A4 songs; which is yours? a comment was made to the poll: Who is আপনি favourite and hottest member?? an answer was added to this question: What are your top 5 favourite B1A4 songs? This might be kinda late, but ah well!